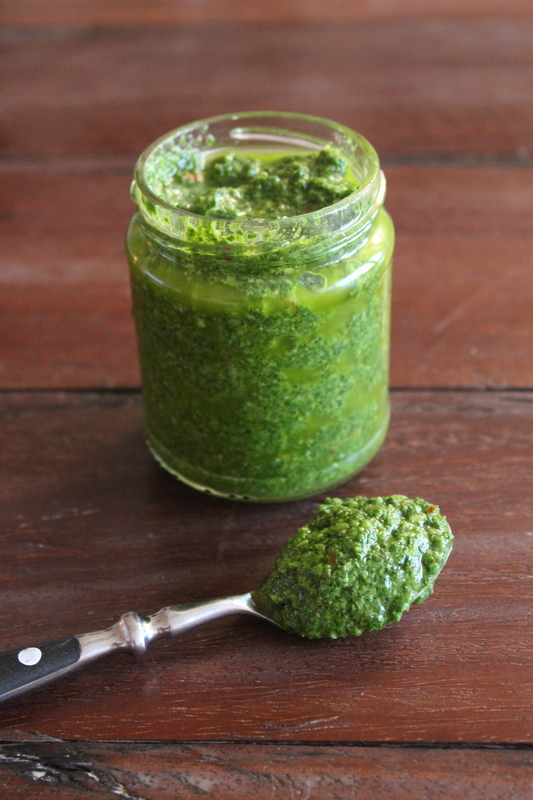 Pesto is one of those things that every one should have in their pantry. For years we bought it in the local super market, then we decided to buy it in the local Italian Deli and now we are making it our selves. It is as easy as boiling an egg and it only takes a few minutes. This recipe is a pesto with spinach, almonds and parmesan cheese, but you can use all sorts of herbs, nuts and hard cheese. Rinse the spinach thoroughly in cold water and leave it to dry on some paper towel (if you are in a hurry you can just dap it with paper towel to remove as much water as possible). Place all ingredients in a blender and blend until smooth – it takes approximately 30-40 seconds. 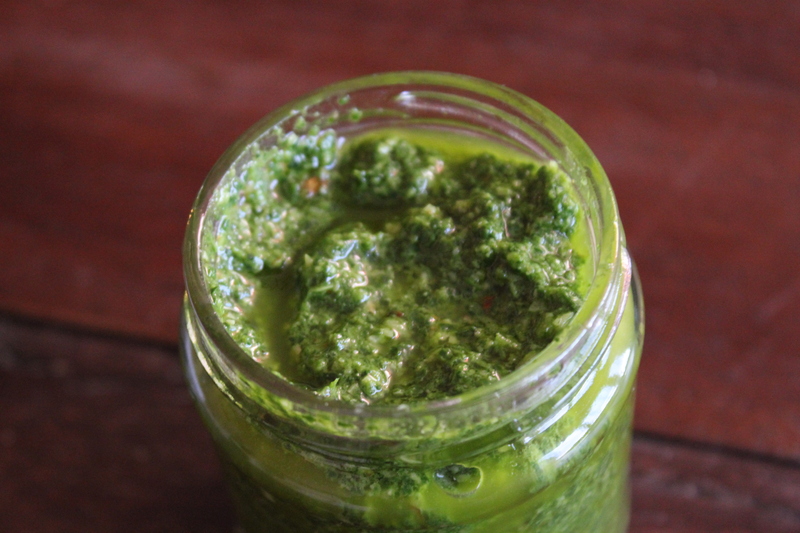 If you think that the pesto is a bit to thick and grainy, you can add more olive oil. Add one tsp. at a time, to prevent that it gets to thin. Transfer to sterilized jar, seal and store in the refrigerator for up to 3 weeks. Serve as a dressing for raw cut vegetables, with pasta, tapas, or combine with sour cream and use as an alternative the the usual burger dressing. Every single year since I can remember, my parents have gathered blackberries to make jam for the rest of the year. This year I insisted on going with them on one of their trips, as I did when I was a child. We went to one of their secret blackberry spots and within 40 minutes we had gathered 11.2 oz of delicious blackberries 🙂 As they has already been out twice within the last week (with a total gathering of 36 oz), I took home all the berries and began thinking of different way to use them. My parents made jam out of their HUGE portion and gave to the neighbor family who LOVE it (we have received several pictures of babies (and their parents) with jam all over the face). 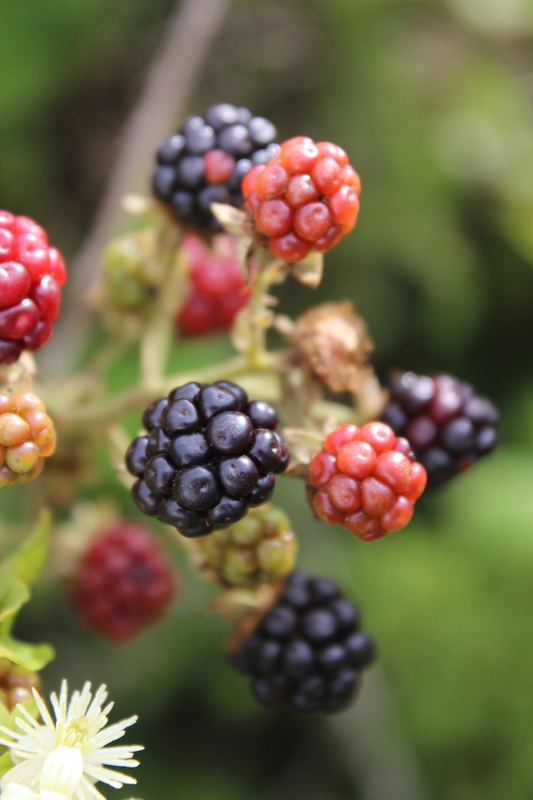 Has anyone of you been on blackberry hunt this summer?? 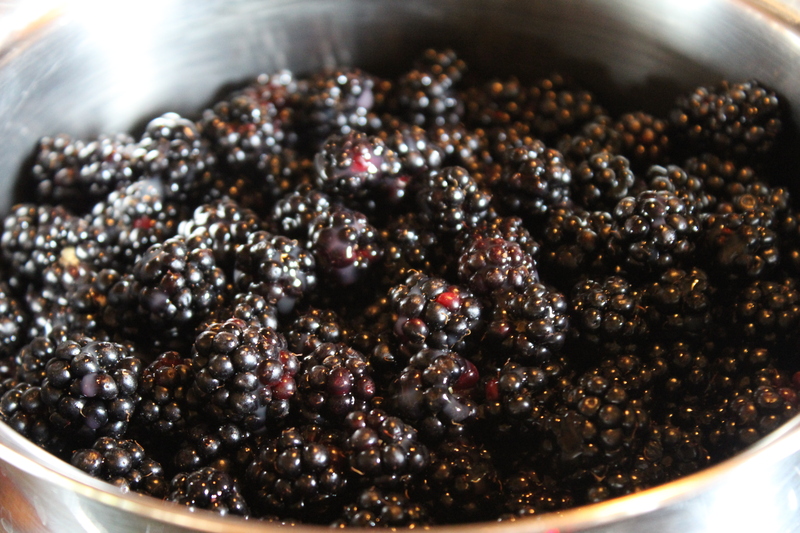 Place all the blackberries and the lemon juice in a saucepan. 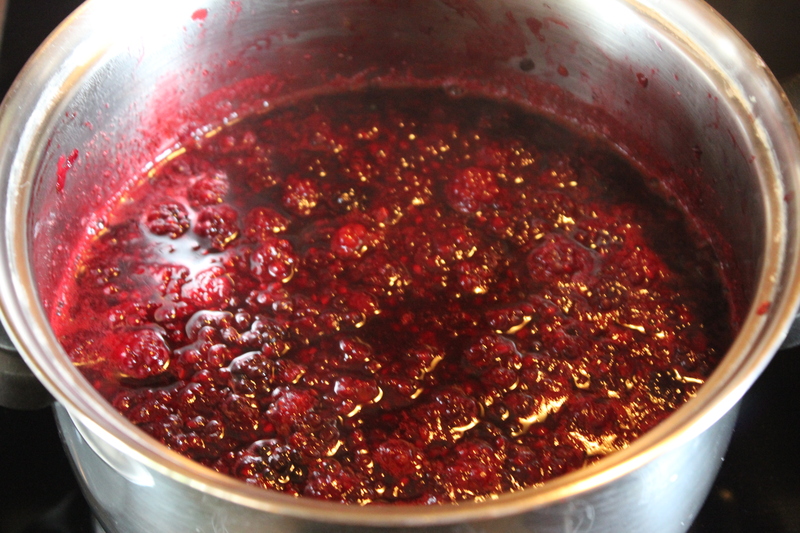 Let stand at medium heat for 10 minutes, stirring every other second minute so all berries get warm. It should end up looking like the picture below. Add the sugar, combine and remove from the heat. Stir until the sugar has dissolved. It takes 5-7 minutes of constant stirring. Using a wooden spoon, you can feel when the sugar has dissolved. You can stop stirring when the ‘crunchy’ feeling of sugar is gone. Transfer to a clean jar, close the lid and refrigerate immediately. Use within 3-4 weeks. 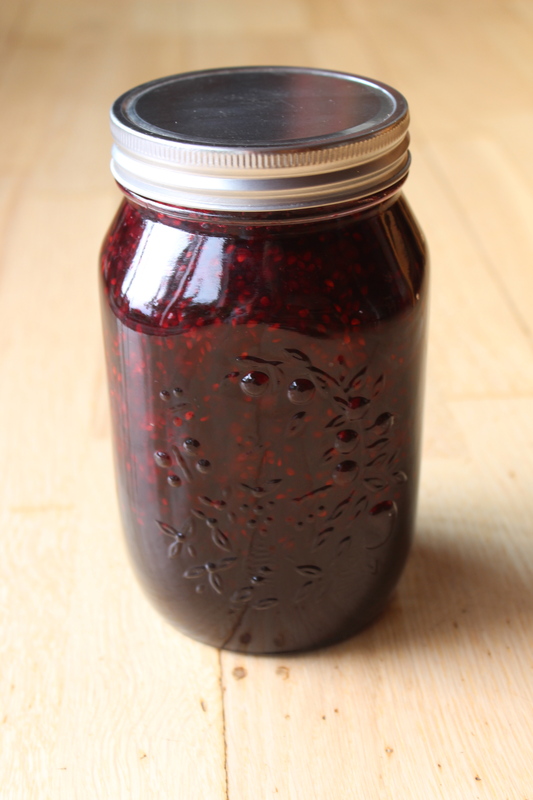 If you want it to last longer (if you make a large portion to last until next blackberry season), you can add a teaspoon of liquid preservatives just before you pour it into the jar. 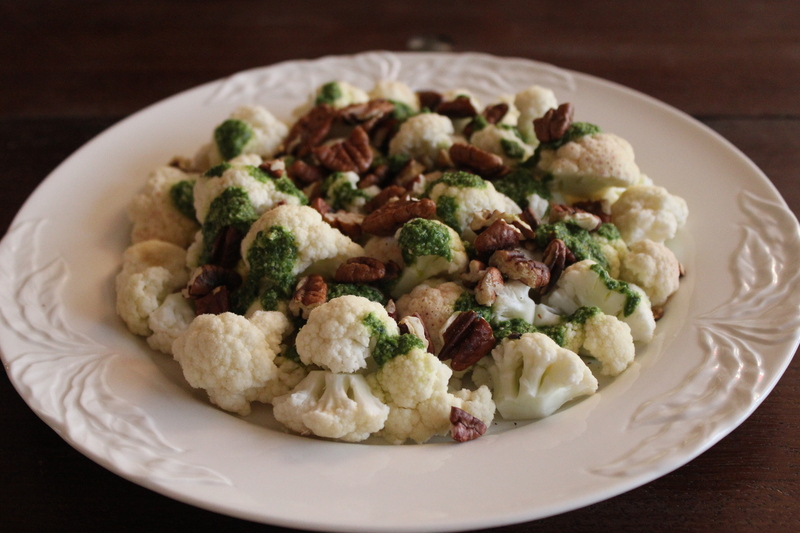 Due to that history, this dish means something to us and we like to make it for ‘date nights’. We have served it in many different ways and last night we decided to serve it in a French baguette with tomatoes and mozzarella and was really great. Have you ever made bacon explosion?? If yes, what are you using for filling and how do you serve it?? Melt the butter on a medium-hot pan and sauté onions, mushrooms, garlic and thyme for 4-5 minutes or until the onion pieces begin to soften a bit. Set aside while preparing the meat and bacon. 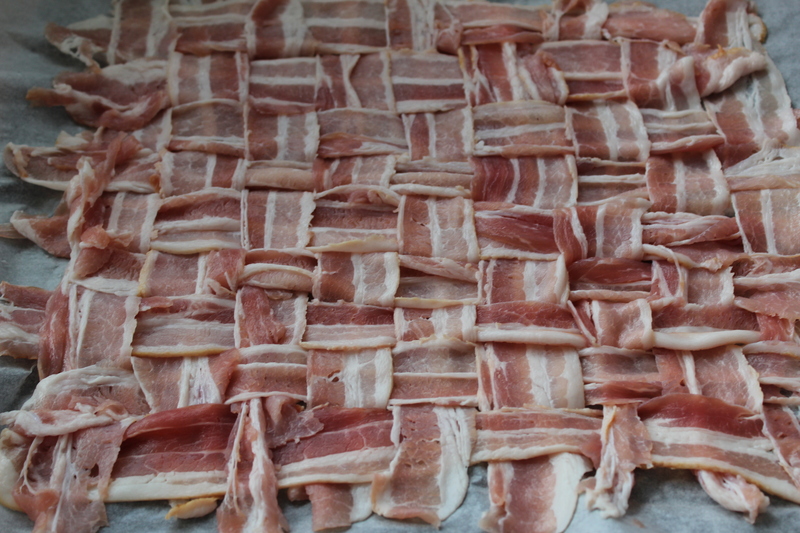 Weave the bacon slices together, as shown on the picture below. 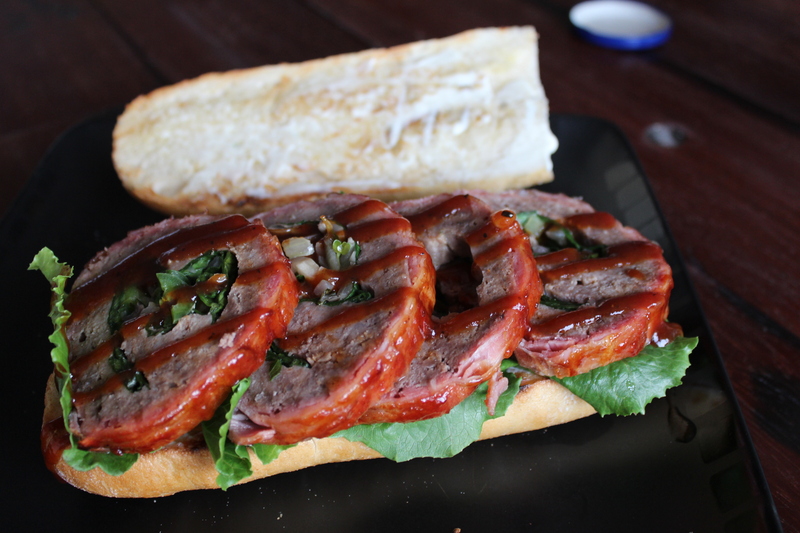 Do it on a piece of baking paper, so it is easy to wrap around the meat when finished. Set aside. Combine grounded beef and pork in a mixing bowl together with 1/3 cup BBQ sauce and salt and pepper. Place the meat on a piece of baking paper when mixed well. roll it out until it is approximately 2 inches smaller than the bacon wrap. Spread the shredded cheddar on to the meat followed by the rinsed spinach (remember to rinse the spinach thoroughly, as it is one of those vegetables that might contain a lot of dirt), the onion and mushroom mix and last (but not least) the jalapeños slices. Be aware to leave an edge in the meat, so that the vegetables and cheese and be fully covered when making the meat roll. Roll the meat up, with the filling inside, using the baking paper to help you. 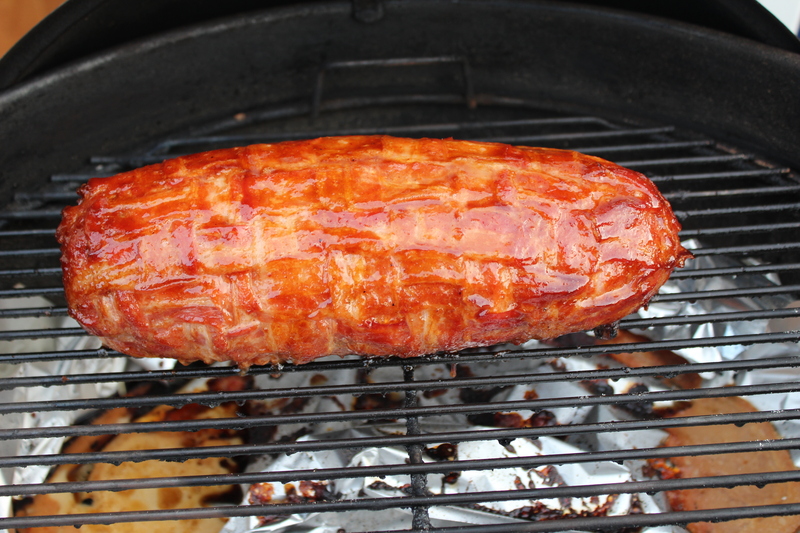 Close both ends of the ‘sausage’ before transferring it to the bacon wrap. 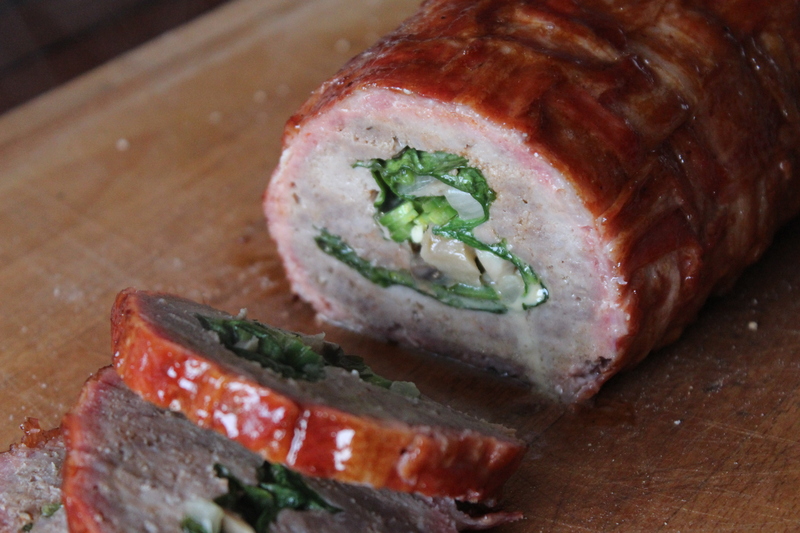 Roll the bacon wrap around the meat sausage, using the baking paper as you did when rolling the sausage. 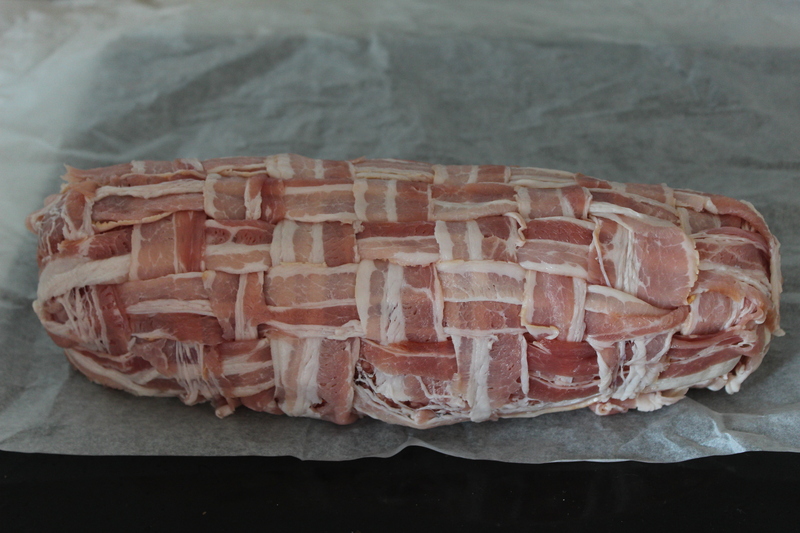 Weave the bacon ends together, so the wrap is closed all around the sausage. Place on indirect heat on the grill and grill it at 360F for approximately 90 minutes. Toss a piece of wet applewood into the charcoal to give it some smoke. Combine 2 tbsp. BBQ sauce with brown sugar and soy sauce and stir to dissolve the sugar. Spread on the BBQ/sugar mixture approximately 60 minutes into the grilling. This will make the bacon surface shine at taste both sweet and salty. Remove the bacon explosion from the grill after 90 minutes and let it rest while warming the bread. Slice the bread and place it on the grill with the inside down for 2-3 minutes. Then spread on some mayo and place the lettuce leaves on the bottom half of the bread. 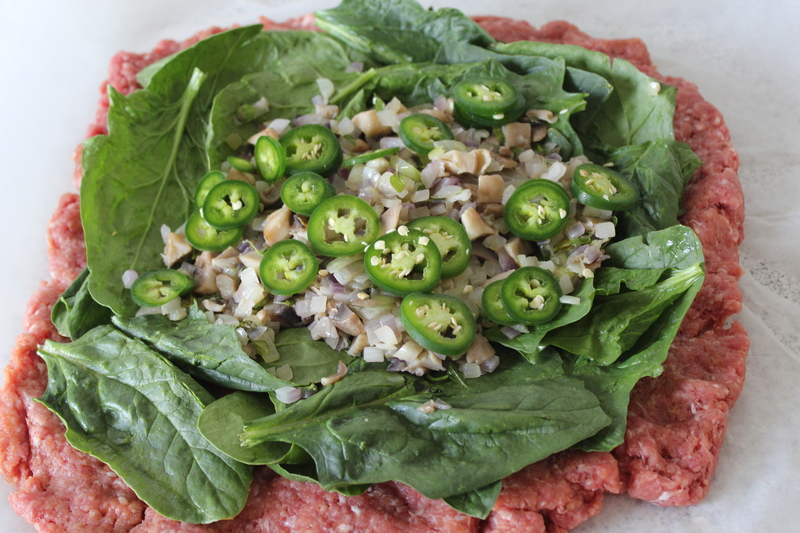 Cut the meat into 1-inch slices and place 4 slices on each sandwich bottom. 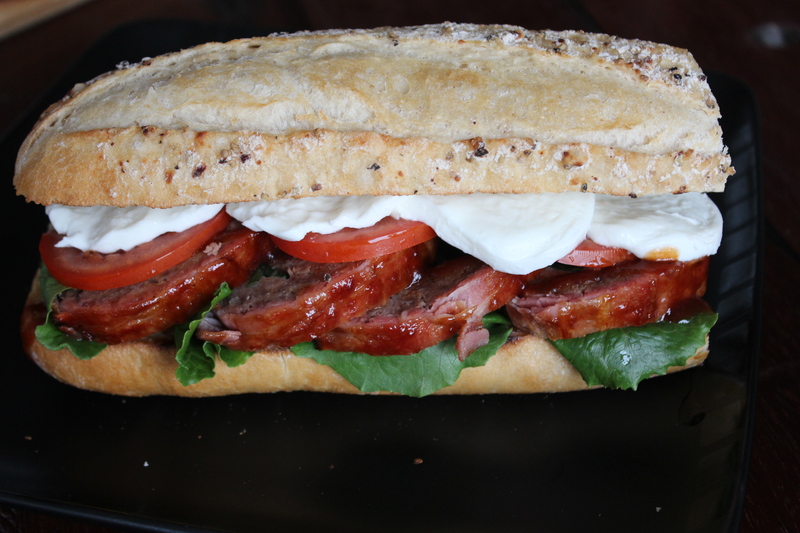 Spread out a few stripes of BBQ sauce on the meat slices before placing the tomato and mozzarella on top and finally the top half of the baguette. If you have the time, you should definitely go visit their blog as it has a lot of great recipes. Cut the peach into two and remove the stone. Cut a 1/2-inch slice of the peach to use for decoration and peel the rest. 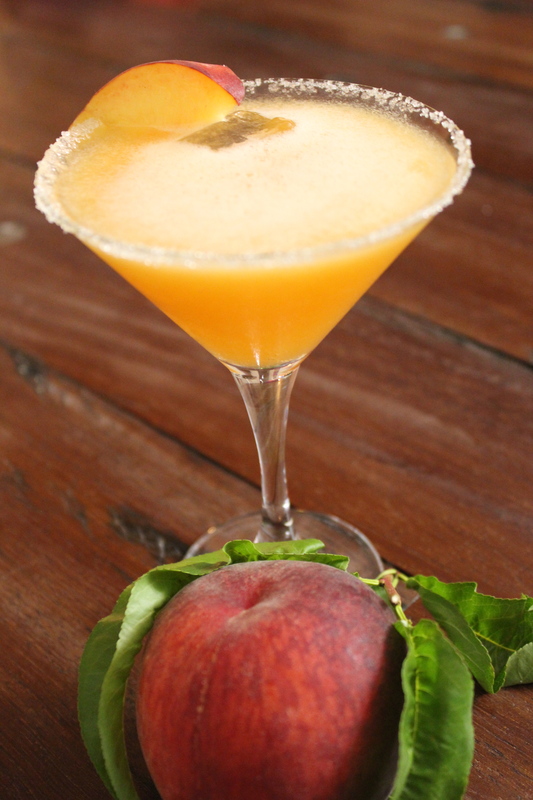 Place the peeled peach, vodka, cointreau, lime juice and two ice cubes in a blender and blend until smooth. Wet the edge of the glass with lime juice or water and twist it in the sugar. Pour the drink through a strainer and into the glass. Decorate with the peach slice. Serve as a welcome drink or after dinner. This summer has, contrary to the last 4-5 summers, been sunny and warm but today it has been cold and rainy. So what to do on a rainy summer day?? Blend the almonds into fine almond flour in a hand blender or food processor. Then add confections sugar and blend again for at least 20-30 seconds. Shift into a mixing bowl. If there are anything left in the strainer, blend it further and shift again. Take half of the egg whites and mix them into the blended almonds. mix until well combined and even. In another bowl whisk the other half of the egg whites until they make soft peaks. 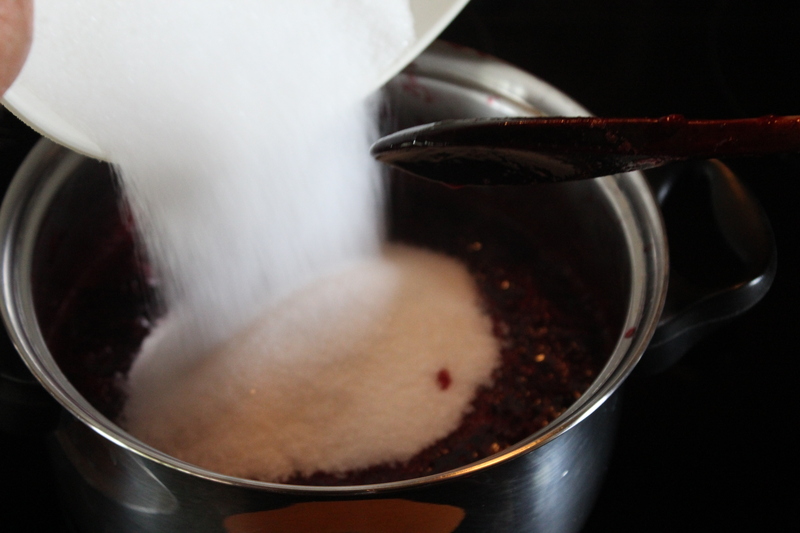 Find a saucepan and add granulated sugar and water. Heat until the syrup reaches 230F, stir once in a while (use a digital thermometer). Pour the heated syrup slowly into the egg whites while whisking on medium-low speed. Be careful not to get burned on the sugar – it hurts like hell! When all the syrup has been added, turn up the volume of you mixer and whisk until the meringue has reached room temperature. It take about 10 minutes. When your meringue has reached room temperature, add half to the almond mixture and mix well until combined. Then add the rest of the meringue and fold around – do not whisk, as this will ruin the batter! Fold until the batter is evenly combined and smooth. Now it gets a bit tricky – the texture of the batter needs to soft, but not to soft. It still needs to keep the round shape when added to the baking paper, but it should be soft enough to prevent the macaroons from getting small tops. Did that make sense? Transfer the batter to a pastry bag with a 1/2-inch plain round tip, and pipe 3/4-inch rounds 1 inch apart on a baking tray with baking paper. 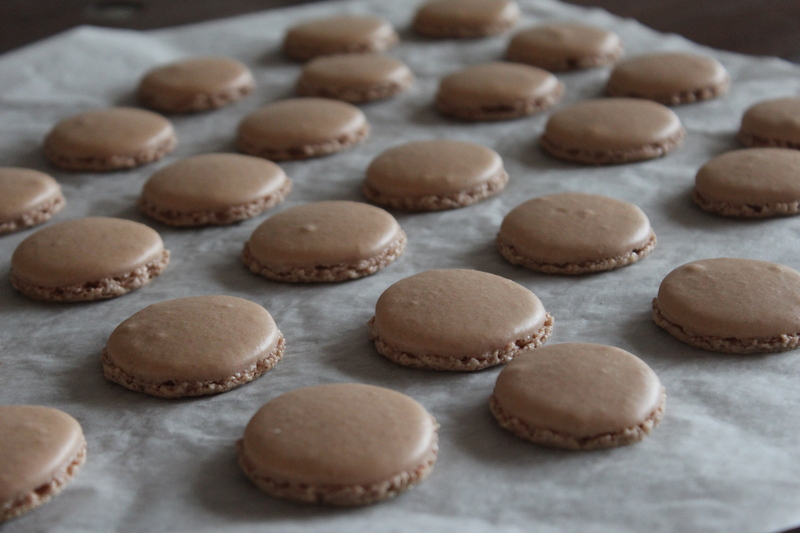 Turn the baking tray into the table top 8-10 times, to remove air bubbles from the macaroons. Let the macaroons dry at room temperature for an hour. Bake at 300F for 13-14 minutes. Transfer the baking paper with the baked macaroons to a wire rack and let cool completely before filling or storing them. Below there are 4 different fillings for your macaroons. Each filling recipe is for 20 macaroons. 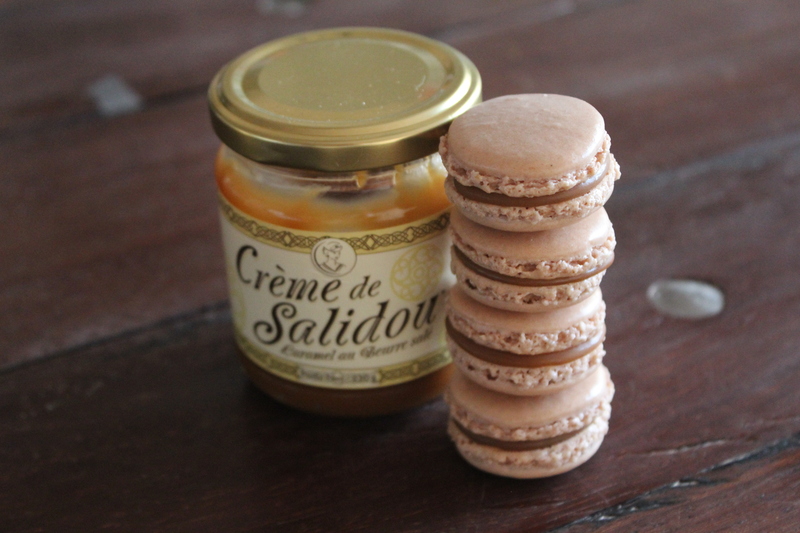 Place the caramel in a piping bag and warm it with your hands until it is soft enough to be squeezed out onto the macaroons. Place all three ingredients in a he alt proof blow and place over a pan of simmering water. Stir occasionally until melted and combined. Transfer to a piping bag and fridge until cooled completely. 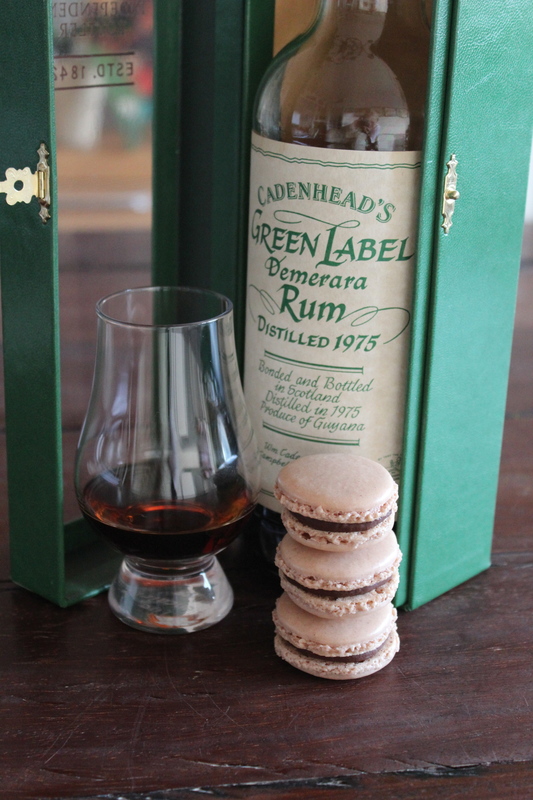 If the ganache get at bit to cold, you can warm it in your hands until it is soft enough to squeeze onto the macaroons. Place all chocolate, cream and freeze dried powder in a he alt proof blow and place over a pan of simmering water. Stir occasionally until melted and combined. Transfer to a piping bag and fridge until cooled completely. 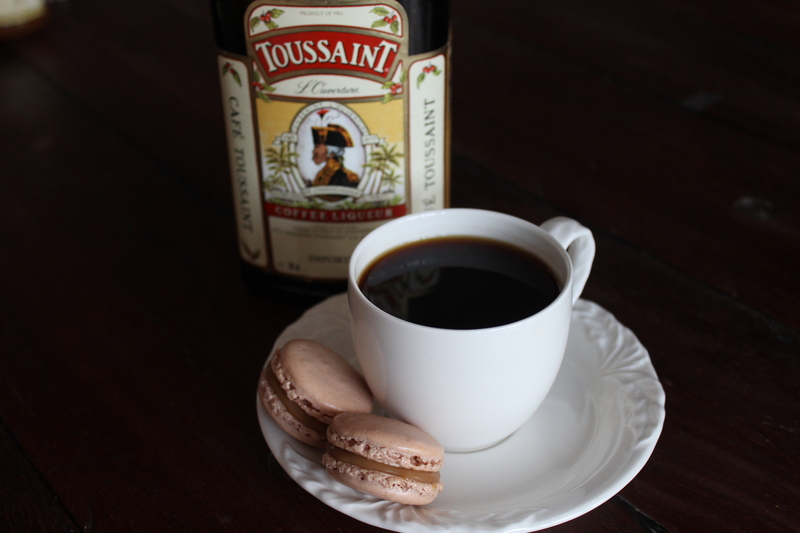 If the ganache get at bit to cold, you can warm it in your hands until it is soft enough to squeeze onto the macaroons. 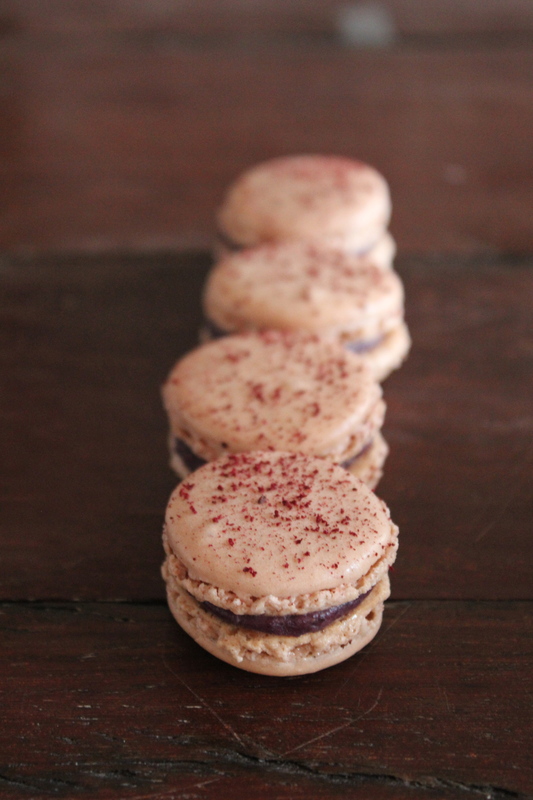 Sprinkle the raw licorice powder on top of the ganache before putting on the top macaroon. A while ago we decided to make a classic chicken caesar salad and began to search the internet to find the ideal recipe. We found dozens of recipes but only court our attention and that was a recipe from Seattle Foodshed. It was a classic caesar salad with out the chicken, but as we were going to have the salad as a our main course we added grilled chicken. Cut the ciabatta into 1-inch cubes and roast in medium-hot olive oil until crisp and slightly browned. Season with salt and pepper. Season the chicken with salt, pepper and chili flakes and grill it on both sides until it is well done – approximately 10-12 minutes on each side depending on the size. Cover in tin foil when grilled and let rest while preparing the rest of the salad. Rinse the lettuce in cold water and it drip off. Tear the dried lettuce into bite-sized pieces and place in a bowl. 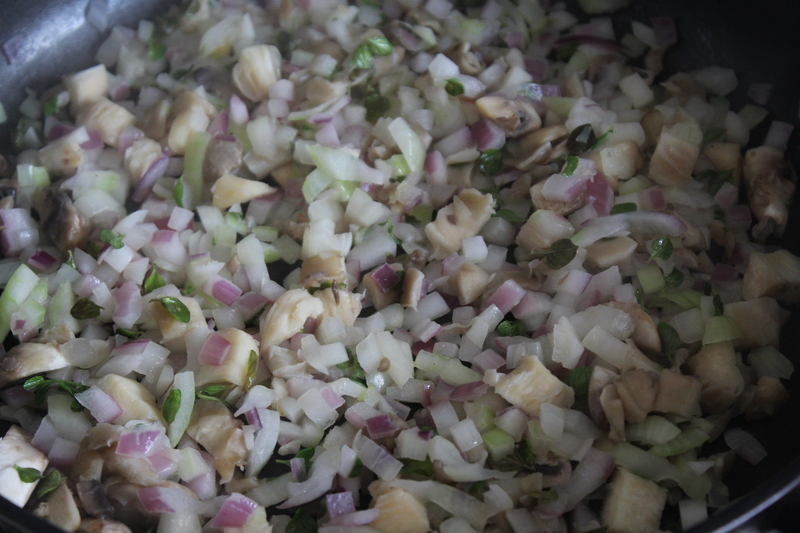 Blend together egg, lemon juice, garlic clove and anchovies until smooth. If you use a food processor, pour the olive oil slowly into the mixture while the processing. If you use a hand blend, transfer the mixture to a bowl and slowly pour in the olive oil while whisking. Using the last of the two methods you will need to whisk a lot, but it is not impossible 🙂 Stop whisking when all the olive oil has been absorbed – over whisking will ruin the dressing!! When finished whisking add 1/8 cup of grated parmesan and season with salt and pepper. Pour the dressing over the shredded lettuce and mix well. Place the lettuce mixture on two plates and sprinkle with the remaining parmesan cheese. 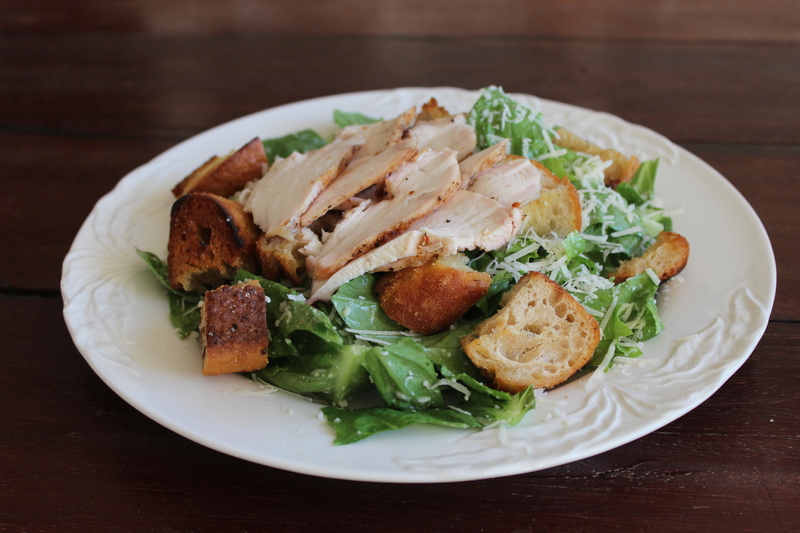 Slice the chicken breast into thin slices and place on top of the salad together with the croutons.